CATHOLIC GIFT SHOP LTD - Lourdes Water in a Beautiful Large Bottle. Lourdes Water in a Beautiful Large Bottle. 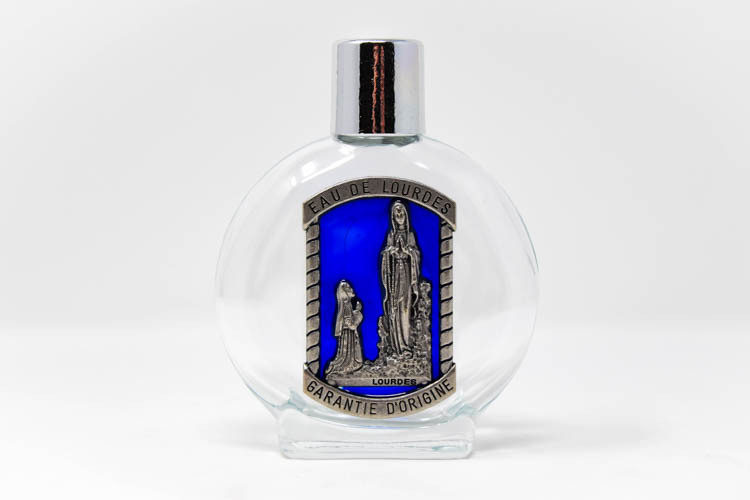 The bottle has the wording "EAU DE LOURDES" (Lourdes Water) at the top and "GARANTIE D'ORIGINE" (origin guaranteed) at the bottom.